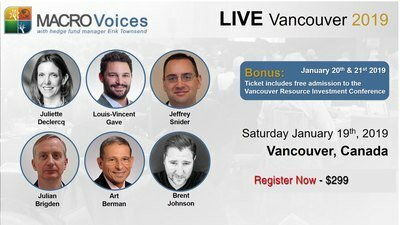 Join us for our second LIVE MacroVoices conference! This one will NOT be video taped, so you’ll have to attend in person if you don’t want to miss it. Note: All prices in U.S. Dollars! Reservations by Telephone: Toll free at 1.800.233.1234 for our 24 hour customer service. Be sure to mention group code G-MACO when you make your booking, as this will both qualify you for a discount and assure the event is credited for your booking. Join Patrick Ceresna for a 4-hour live trading session where he will explore the current market opportunities and go deeper into discussing execution and trade sizing. Learn to use options as a strategic tool for entry, hedging and leverage. We will also explore stocks, bonds and commodity futures trading. We will go through the process of using top down process of building investment themes, tactically assess the entry opportunities and strategize with options on how implement the trades. 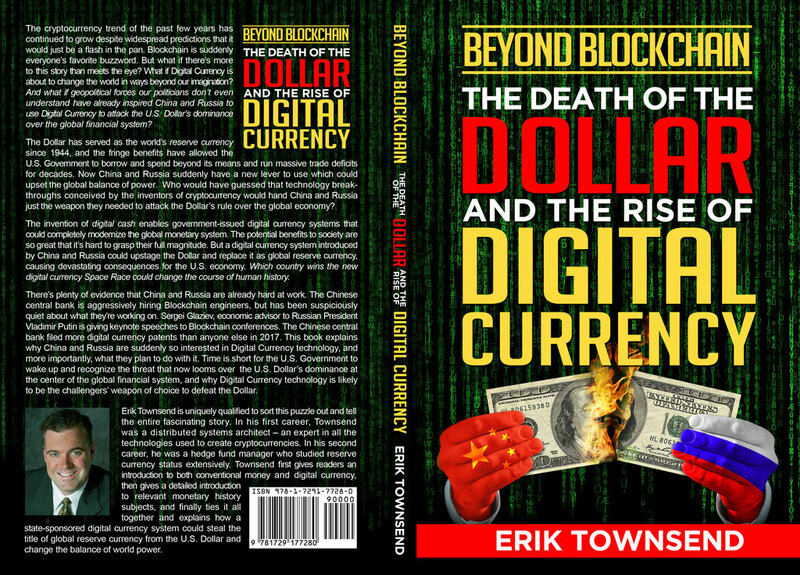 Order an autographed copy of Erik Townsend’s new book, Beyond Blockchain: The Death of the Dollar and the Rise of Digital Currency for an additional $35 and pick it up when you check-in for MacroVoices LIVE in Vancouver. FULL DISCLOSURE: You should only choose this option if you care about getting an autographed copy of the book signed by Erik Townsend. You can order the book directly from Amazon and it will be cheaper and you’ll receive it sooner. We have to charge extra for copies picked up at the event because of the international logistics expense of shipping books to Canada for the event.